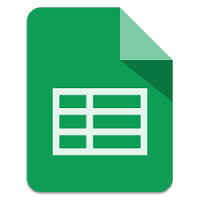 Back in November 2014, GOOGLE announced that older spreadsheets (those created prior to Dec 2013, including any subsequent copies) would start being gradually migrated to the new version of Google Sheets for Google Apps domains on the Rapid release track, with Scheduled domains to follow. While the migration started for consumer spreadsheets, GOOGLE decided to delay the migration for the Rapid release track to ensure a more smooth process. Starting next week, google will formally start the migration for Rapid release domains, with Scheduled release domains to follow 2-3 weeks later (note: we have decided against displaying the migration notification in the Sheets interface for Google Apps customers to prevent unnecessary confusion). The migrations will take several months to complete, but you’ll be able to take advantage of the new features and capabilities in the new Sheets as older spreadsheets are migrated. Simpler spreadsheets will be upgraded first, while those that use Apps Script and more complex features will be migrated weeks to months later to ensure a seamless transition.